The Greek island of Samos lies in the eastern Aegean Sea. Samos is very green compared to most other Greeks islands, even though part of the forest was destroyed in recent fires. At one point the island is only 1200 metres from the Turkish mainland. 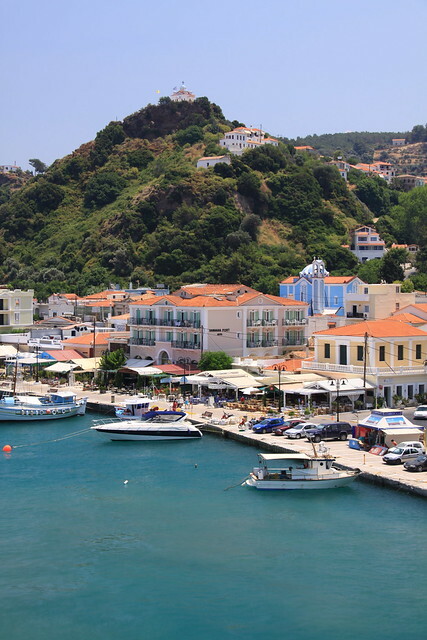 Samos Town, also known as Vathi, is the capital of the island. 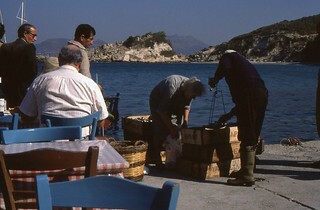 Samos is famous for its sweet dessert wine, Samos Nectar and the Wine Museum is four miles from the capital. The Samos Archaeological Museum has an enormous kouros statue, more than five metres high, plus bronze and ivory figures dating from the 6th century BC. 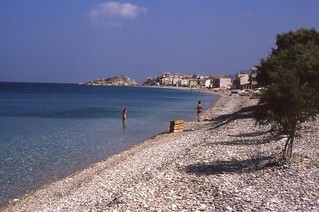 There are a couple of pebbly beaches close to Samos Town. Pythagorio, on the southeastern coast, was formerly the capital of Samos. It is named after the Greek mathematician Pythagoras, who was born on the island. Here you can visit the Ephalinos Tunnel, which was built in the 6th century BC to transport water from an underground spring through ceramic pipes to the town. There’s a new Archaeological Museum in the town. The Folklore Museum is located inside the complex of the Doryssa Bay seaside resort and spa. 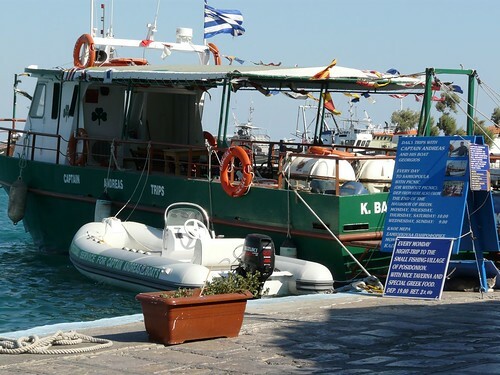 There is a good selection of cafes along the seafront, where you should try loukoumades, fluffy Greek doughnuts, served with the locally produced honey. Kokkari on the notherrn coast has a pebbly beach which is popular with windsurfers. East of Kokkari is the beautiful Tsamadou Beach, the only official nudist beach on the island. If you continue west from Tsamadou you’ll reach Karlovassi, the second largest town on Samos, which has a long sandy beach. There are several interesting monasteries in Samos. Panagia Vrontiani, close to the village of Vourliotes in the west of Samos, is the island’s oldest monastery dating from the 1560s. Its library has books from as far back as the 1670s.